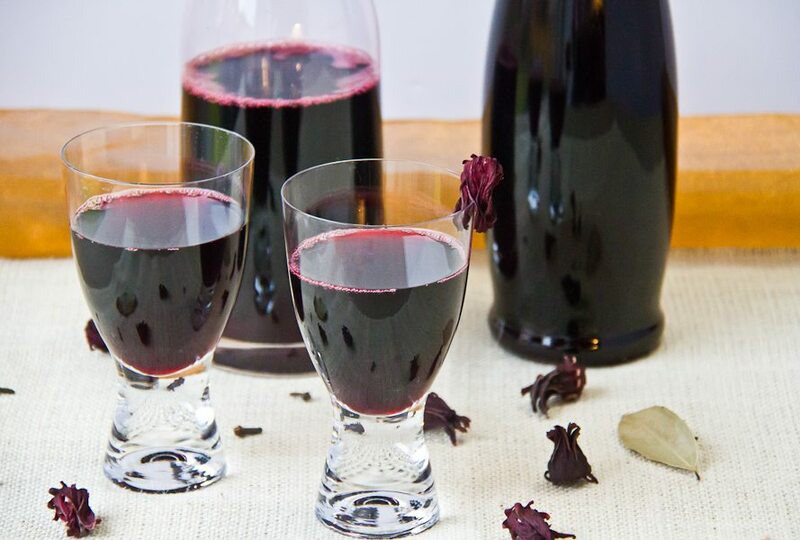 We shared a live broadcast with our Facebook Community as we attempted to make the famous Sorrel Drink. 1) Remove the core out of the sorrel flowers and discard, then place all the ingredients in a large pot, cover with the water and bring to a boil. 2) Reduce to a gentle simmer and let it go for about 30 minutes. Then remove off the heat, cover and let it steep for a few hours. Mom would always go overnight for maximum flavor. If you’re wondering what orange peel is.. mom always had the peel (skin) of oranges she would peel for us, hung in a corner of the kitchen to dry. The dried orange peel (skin) would then be used to flavor drinks like sorrel and also make some wonderful (soothing) teas. 3) It’s now time to strain (and discard).. I would recommend double straining with a very fine strainer or cloth to remove any debris. Chill and sweeten to your liking. 4) Traditionally brown sugar cane sugar is used in sweetening sorrel, but you can use whatever sweetener you prefer. Remember to add some crushed ice and sliced limes or lemons when serving and you can certainly spike things up with a dash of rum and Angostura bitters.